Mortgage rates for first-time buyers are at their lowest level since mortgage records began in 1995, according to the Bank of England. As a result, first time buyer levels have seen an upturn in recent months. The latest index report shows that first-time buyers had a larger share of mortgage approvals in October (24.6% of all loans) than in September (24.2%). 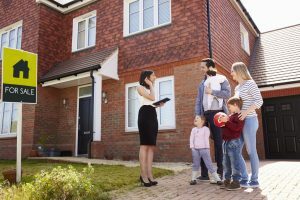 Market analysis by UK Finance shows that in Q3 of 2018 first time buyer levels have increased in Scotland and Northern Ireland, and in London first-time buyer levels have hit their highest rate since 2015. The average rate in 2017 for a two-year fixed was 4.02% and for a five-year fixed 4.71%. In September this year, these had dropped to 3.39% and 3.95% respectively. However, buyers seeking a 95% loan to value (LTV) mortgage in October could secure a two-year mortgage with an interest rate of 3.33% or a five-year fixed at 3.89%. While lower LTV mortgages have limited scope for rate reductions, the more expensive low deposit mortgages enable lenders to cut rates to maintain a competitive edge in the market and attract new borrowers. The market for small deposit borrowers is looking particularly fertile, with no signs of abating at present, and will continue to do so as lenders cut rates to encourage first-time buyers to get on the property ladder while they can. The post Record low mortgage rates for first-time buyers appeared first on BuyAssociation.